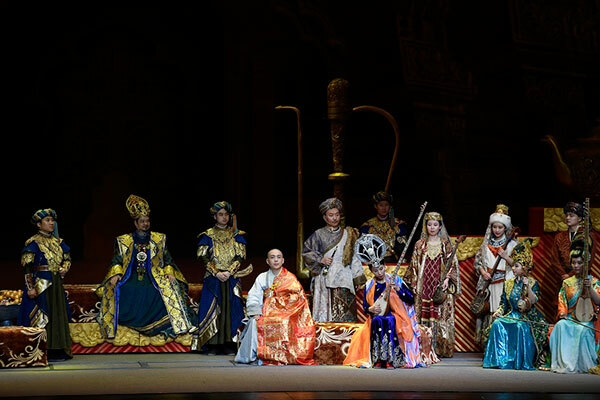 Xuanzang’s Pilgrimage, China’s first traditional concert drama performed by the China National Traditional Orchestra (CNTO), premiered at the Kennedy Center on Friday night. The format “blurs boundaries and connects acting with playing musical instruments, telling the story of Xuanzang’s pilgrimage to Tianzhu (ancient India) and showing Chinese national music from past to present,” said Jiang Ying, composer, writer and director of the show. “I have encountered many difficulties along the way, because it is a kind of identity that is completely explored. But when the dream calls you in a distant place, just like master Xuanzang, I also insist on pursuing my dream in the distance. The whole process is full of positive energy,” Jiang said. “The China National Traditional Orchestra has the responsibility and the mission to implement the Belt and Road Initiative, spread the Silk Road culture,” said Xi Qiang, CNTO producer and executive director. “Good art is cross-cultural. 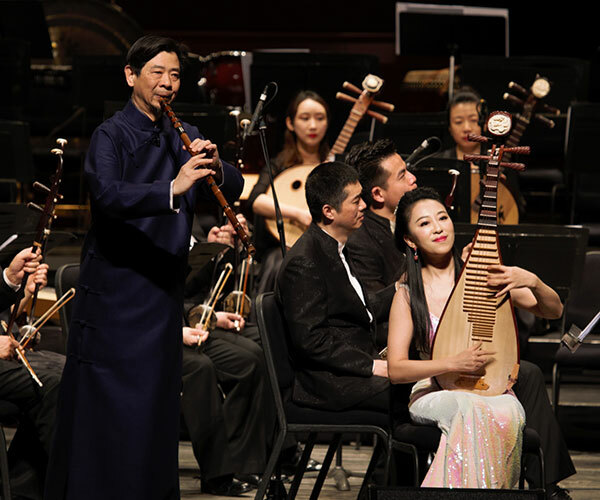 The show integrates organically instrumental music performing with culture in the plot, showcasing the diversity, inclusiveness, history and rich display of Chinese traditional instruments, which can resonate with Chinese and Western audiences,” Jiang said. “I hope that the US audience can be greatly impressed by this landmark production in the history of Chinese national music. I believe that the audience can feel the spirit of Chinese national culture, also the customs along the Belt and Road. I wish that our audience can enjoy the story of Xuanzang and Chinese traditional instruments,” said Ding Xiaokui, CNTO’s principal flute soloist, who stars as Xuanzang. “The performance is so amazing,” said Jim Lee, a Washington resident who has been to China several times, including Beijing, Shanghai, Xi’an, Tibet and elsewhere with his family. “Chinese traditional culture really impressed me. The Buddhist and Tang Dynasty culture are shown well in this opera. Really fancy instruments and music,” Lee said. Xuanzang’s Pilgrimage is part of Image China, a high-level cultural exchange program presented by China Arts and Entertainment Group Ltd.(CAEG) that introduces traditional and contemporary Chinese performing arts to global audiences. 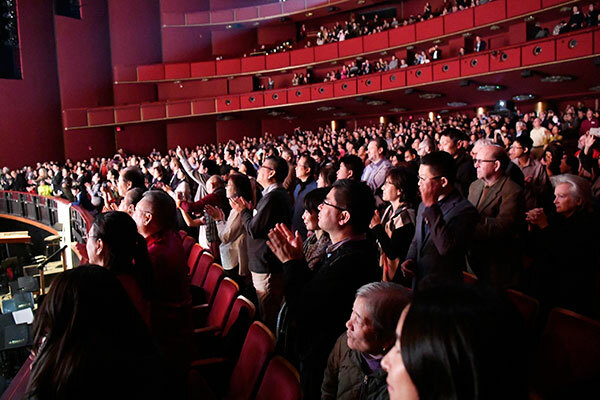 It is the third year for the Image China series at Kennedy Center.